Photography has never been so accessible than today. Technology has given us the advantage of having a camera in our phone, in our pocket; allowing us to take pictures wherever we are. There are a lot of arguments that can turn the scale to mobile photography or to classic cameras; but the choice –as the truth- is in the eye of the beholder. It has been a revolution. 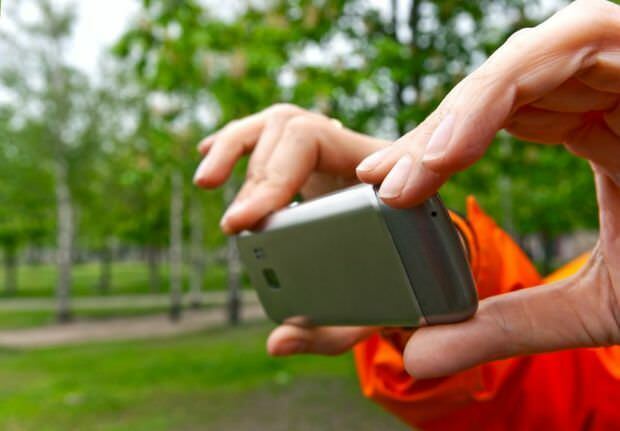 Smartphones have changed communication, information, and the way photography is seen. But some experts think that photography is getting destroyed. Just in Facebook, around 200,000 photos are uploaded per minute. This is overdriving picture taking, and giving an avalanche of incontrollable information that is overwhelming photographers. A few think the profession is getting displaced. That’s why some people say that photography is dying as an art. On the other hand, famous photographer Annie Leibovitz is not that negative; she once said on an interview the iPhone is the “snapshot camera of today”. Certainly, it is a controversial issue for most photographers. It is a fact that the approval on the issue depends on how open minded the photographer is. Anyway, it is not only a matter of art appreciation. Since the explosion of mobile photography, markets have been affected. Last year, DSLR camera shipments declined between 10% and 15% in the entire globe. This is something big companies as Nikon and Canon should think about, and that’s why they have reduced their sales forecasts. In this vein, the digital cameras are experiencing a huge decrease in sales. The advances on the integrated cameras on smartphones are pushing the market to a crash. If this keeps going, consumers will abandon those types of cameras. This year, Nikon pushed its DSLR offer because demand is increasing in places like Asia and the Middle East. The boom of social networking is persuading customers to get more advanced cameras, to take better pictures for their followers. But, If you look for image quality and other advantages, you should analyze the issue from different angles. On one hand, the sensor on a smartphone’s camera does not have the quality of a sensor of a DSLR camera, that’s one fact. But there is another fact, technological advances delivered smartphone cameras with 41 megapixels, as the Nokia Lumia 1020. This is a huge deal, especially when you compare it to an old DSLR with only 8 megapixels. Nevertheless, comparing smartphones to DSLRs is like comparing tablets to PCs. They are intended for different purposes. The issue is not only about megapixels. There is a matter to establish; you can’t compare a $2,500 Nikon with a $1,500 lens, to a $700 smartphone. It is sacrilegious. To establish a middle point, other things should be considered: Pricing, image quality, ease of use, purpose, among others. For the average picture taker a smartphone can suit well. But if photography is taken seriously, it is necessary to have a DSLR camera, or at least a classic SLR. It is like apples and oranges. Matchless. Mobile photography and cameras will coexist, and they are both meant for different uses. Although there are photographers who use an iPhone for photojournalism or to showcase their art.